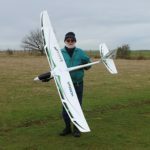 Firstly welcome to our club, the best person to contact is our club sec Paul Gramson on 07956 368622 after 4 pm, tell him Mike Snr passed you his number and he will be happy to help you learn how to fly. Failing that the best time to catch us at our field is Sunday after 10 am (weather permitting), although this Sunday we will be short on numbers as there is a glider competition on at Sutton Valence. I hope this helps and once again welcome to our club, I look forward to meeting you at the field soon.